I'm baaack! Mostly. I am still so worn out from December. Part of me wants to just sit back and enjoy vegging out and binge watching Parks and Recreation for a bit longer. But then I won't ever get anything done. Looking back at December, I didn't get a whole lot of posts up. I had plans but then we all got sick and it was all I could do just to handle Christmas. The Munchkin was on antibiotics all the way up to New Year's. A month of sickness and scary ER visits are not my thing. I am done. We did have a pretty great Christmas anyway. My big, loud, crazy family was even bigger and louder for the week. It was so great because my brother and his family came to visit which meant I got to meet a new niece! My grandparents live a few states away and they managed to make it too. After Christmas we took off to the In-Laws to spend New Year's with them. The most exciting part was Little Man receiving a drum set for Christmas. It is his favoritest thing ever. I have never seen him so excited as he was that morning. He had been asking for drums for a while so we couldn't resist when we found a kid's set at the thrift store for $15. We had a slight scare when it fell over and popped one of the drums off, but hero Hubby and YouTube came to the rescue and the drums are back together again, thought slightly off in sound. So we have drums, the house is loud, laundry is everywhere, and the kids are so happy to be home and in their routine again. Overtired, Christmased out kids are not for the faint of heart. I'm ready to sleep for a week. Anyway, here are the very few posts that I managed to eke out in December. It's a quick read and I hope you enjoy! 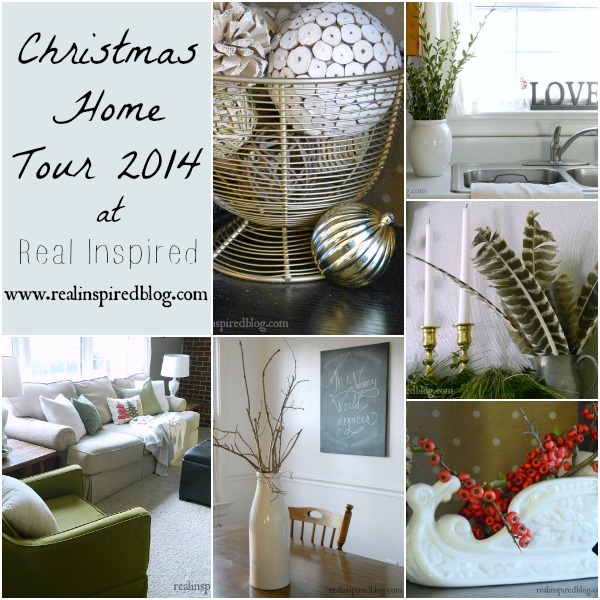 The Real Inspired Christmas Home Tour 2014. 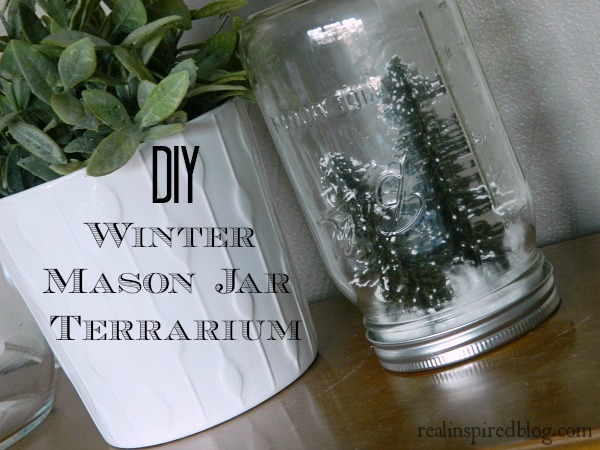 DIY Winter Mason Jar Terrarium. 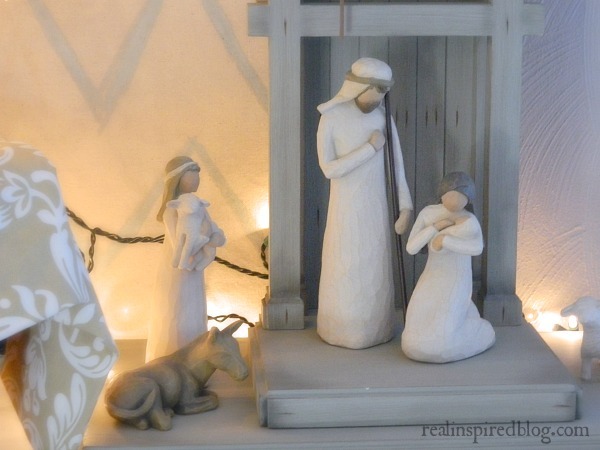 'Tis the Season to Rest: Some thoughts on resting in the holiday season. In case you're interested, I also wrote a short post about the different ways to follow along with the blog. I would hate for you to miss seeing my posts if you were really interested in whatever random things I have to say. So check it out if you want to make sure that you're following! I hope you all had a great holiday season! I'd love to hear about it in the comments or by email! Do you have any exciting stories to share?